Everyone has their favorite Christmas cookie. It is always the first cookie I grab off the giant plates covered in hundreds of cookies at holiday parties. And even though I love this cookie to death. I can only eat it this time of year. I know the holidays are the busiest time of year and most people don’t make time for baking unless it is a tradition. It is a tradition in my family. My mom makes about 30 types of cookies and candies every Christmas! I make 5 if I’m lucky…I have some work to do if I am to carry on any sort of holiday baking tradition! Check out that nail polish. 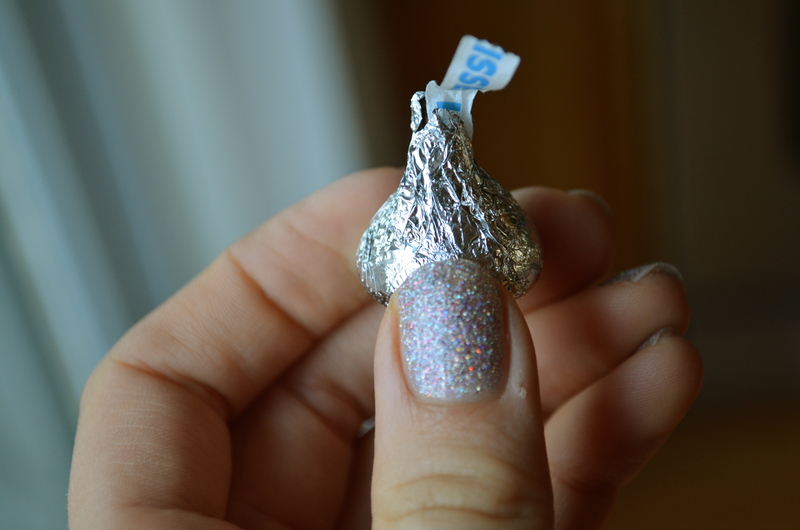 So begin by unwrapping a hundred little kisses. I always helped my Mom with her baking and it was ALWAYS my job to unwrap these little gems. My mom is an amazing teacher. 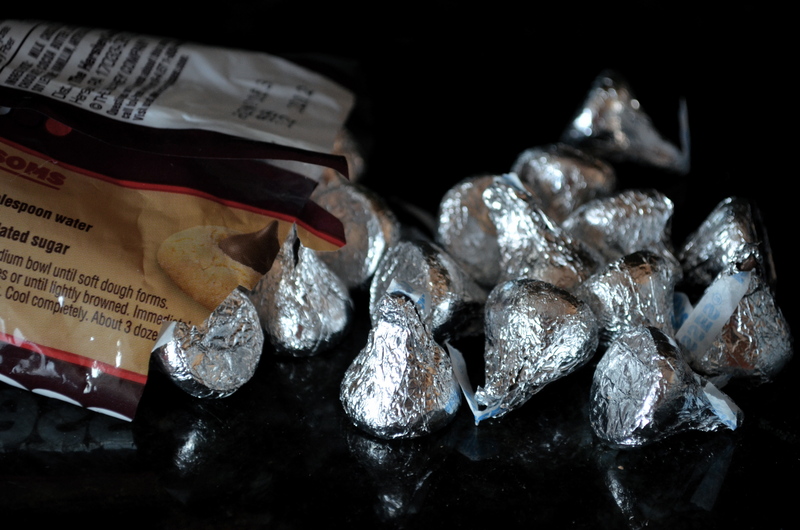 It used to be torture to unwrap all those kisses and not eat even one. (I know I was always allowed to eat one, but I’m pretty sure I stole about 5). You know the quote by Ben Franklin? When I first started dating Mikey that was his favorite quote on Facebook. He didn’t include any other information other than his favorite band being Dave Matthews. And he only uses Facebook to flaunt whatever new pair of high tops he’s purchased or what his sports’teams are doing better than yours…so chances are that is still his one and only quote. I think the same should be said about peanut butter. 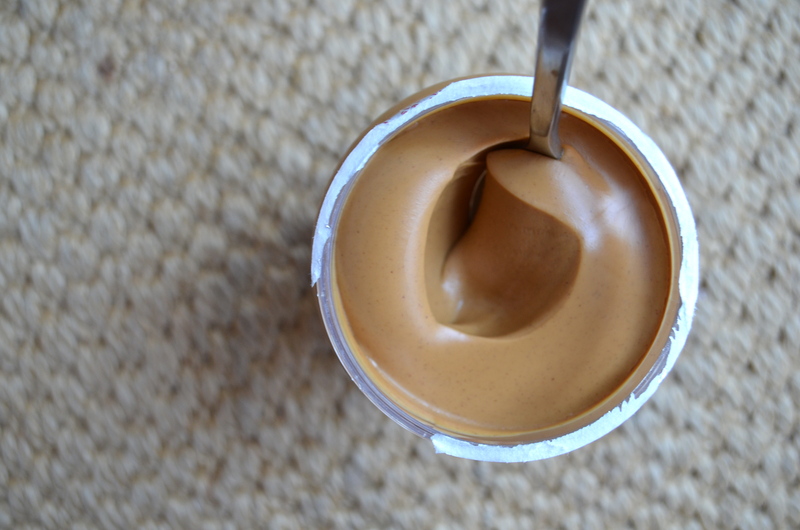 Did you know there is a silent war going on amongst peanut butter lovers? It’s a battle over which brand is best. I am a Skippy fan. I don’t appreciate how you say “choosy moms choose Jif”. If I’m ever a mom, I will be choosy whether or not I support your lame brand of peanut butter (which I won’t). 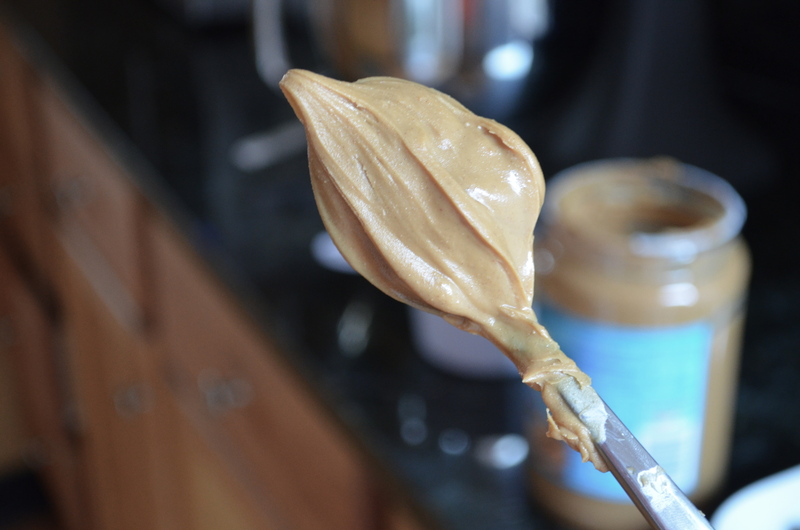 So now that I’ve insulted you Jif fans out there…lets get back to baking. I would eat Jif if it was my only option. I love peanut butter too much to pass it up. I just prefer Skippy. 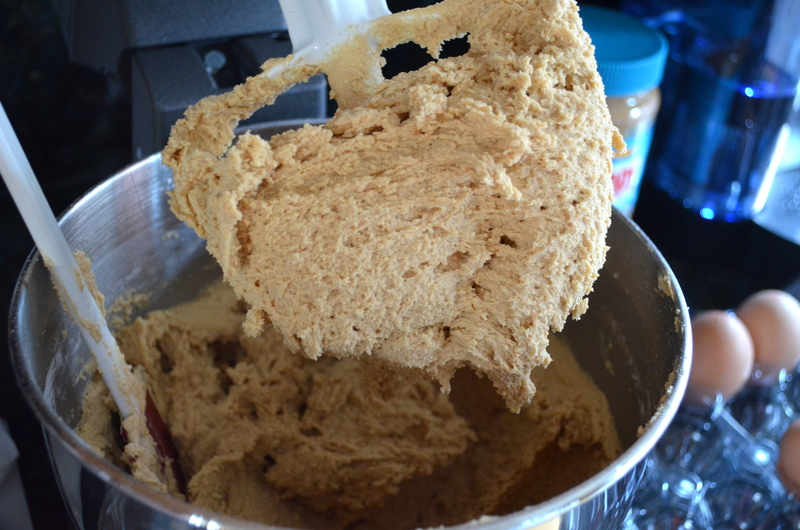 Once you combine the pb with the sugar and butter, slowly add the dry ingredients. It will create a stiff and delicious dough. Once you take them out of the oven, stick a kiss in the middle and let them cool completely for about an hour. Or eat them while the chocolate is melted and make a huge mess all over your face. I’m going to try and provide you with a few more recipes and Christmas stories/cheer over the next couple weeks. Remember a couple things over the next few weeks: Eat a ton of Christmas cookies. Drink a ton of Nog/warm things with a dash of rum, bourbon or whiskey. Don’t give people dirty looks at Target or sigh extra loud when they are just standing in the middle of the isle texting. Also, don’t stand in the middle of the row at Target texting. Move aside so everyone can get their wrapping paper and last minute gifts. Let people go in front of you in line if they only have to get a gift card. Hold the door for people. If you are like Mikey, this is not something you are physically capable of doing…but if you can, let that car pull out in front of you or let that pedestrian cross. Finally and most importantly. Remember the reason for the season. Remember that we are celebrating the birth of Jesus. Even though we make it about gifts, and food and parties and stress…try not to let that overshadow the real reason we get together to celebrate. Thanks for spending a minute reading my blog 🙂 I hope you have time to enjoy this amazing time of year! 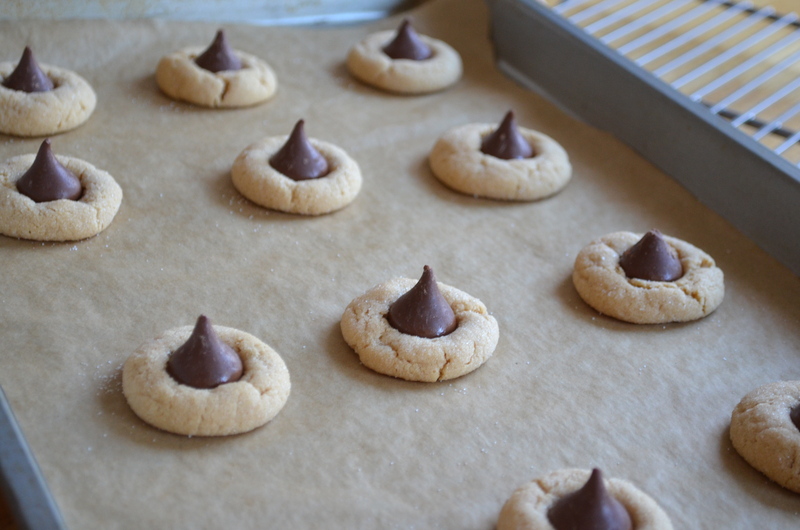 If you are close to me…don’t make these cookies. Chances are I’m going to give you some 🙂 Love you all! 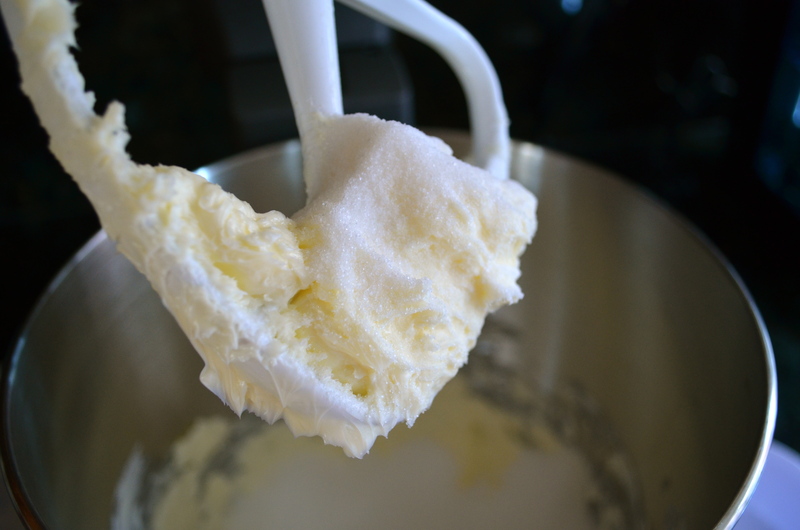 Cream together butter and granulated sugar. 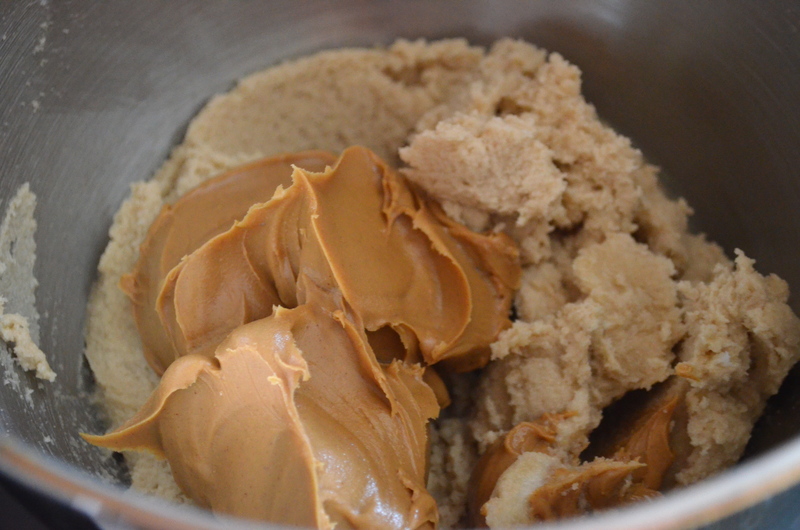 Once combined, cream together with brown sugar. 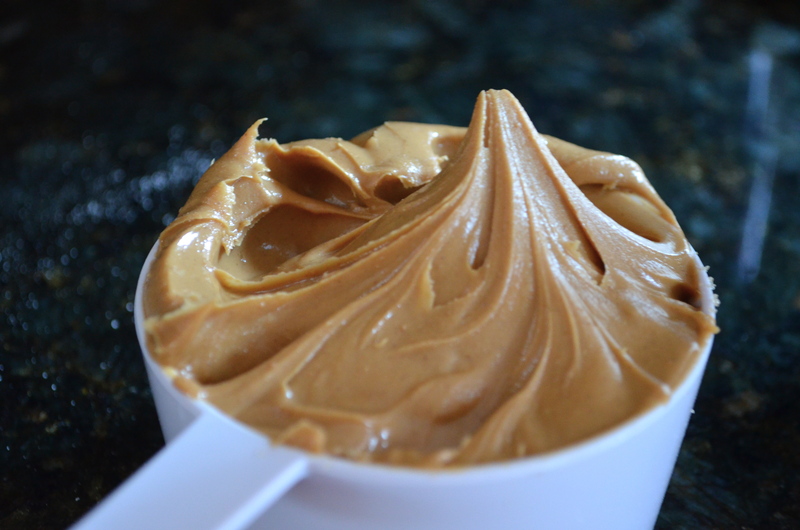 Add peanut butter and cream together until a creamy consistency. Add eggs one at a time, beating well after each addition. Add vanilla and mix until combined. 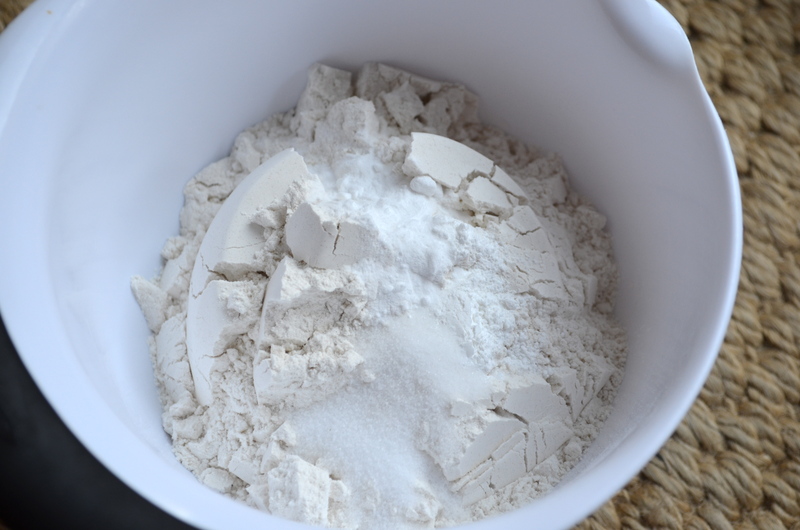 In a separate bowl, combine flour, baking powder, baking soda and salt. Slowly add mixture to batter until completely combined. 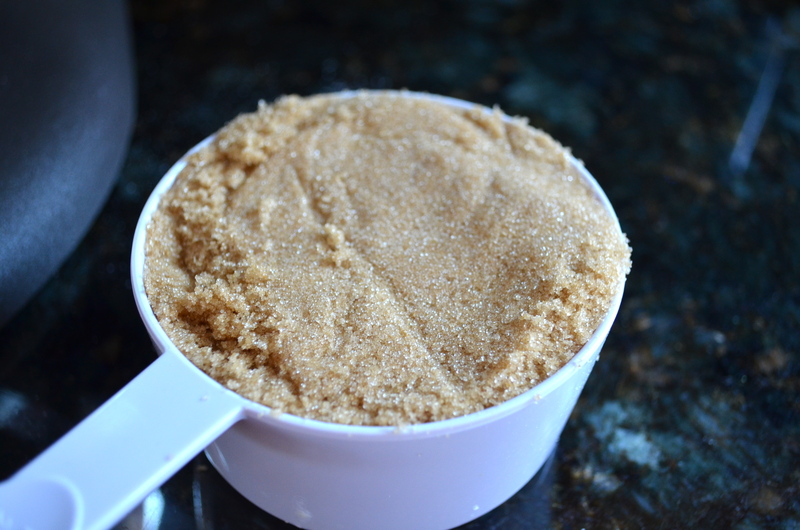 Add about 1 cup of granulated sugar to a separate bowl. 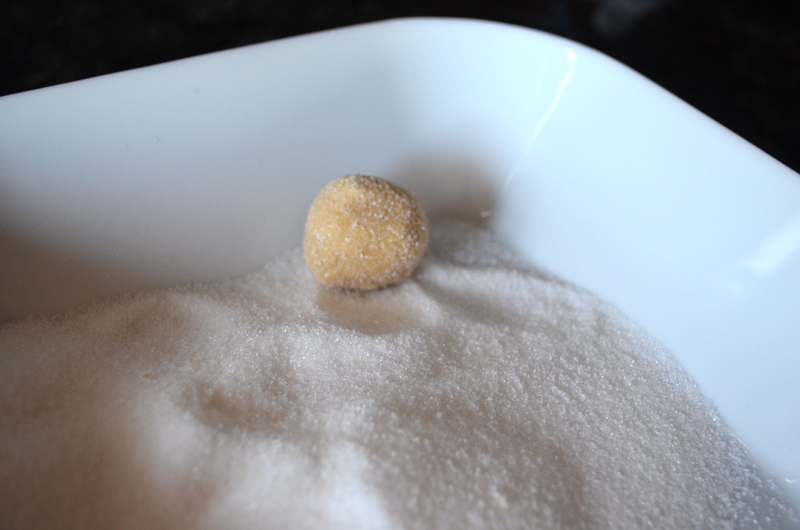 Roll dough into balls and roll in sugar. 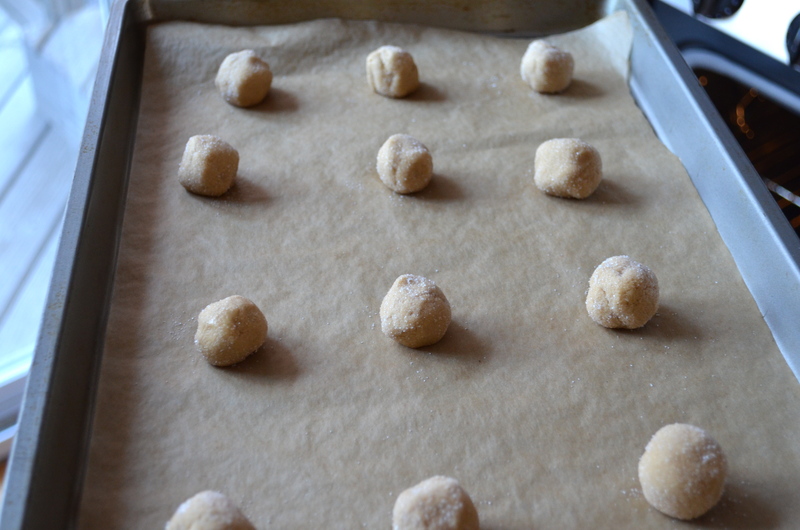 Place on a baking sheet and bake about 12 minutes, or until edges “crinkle” on the edges. 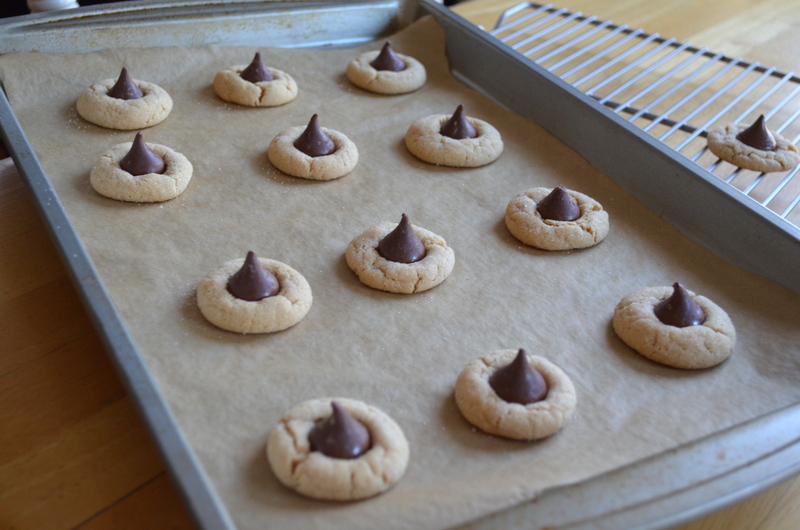 Remove from oven and immediately press in a chocolate kiss. Move to a cooling rack and let cool COMPLETELY, about and hour. 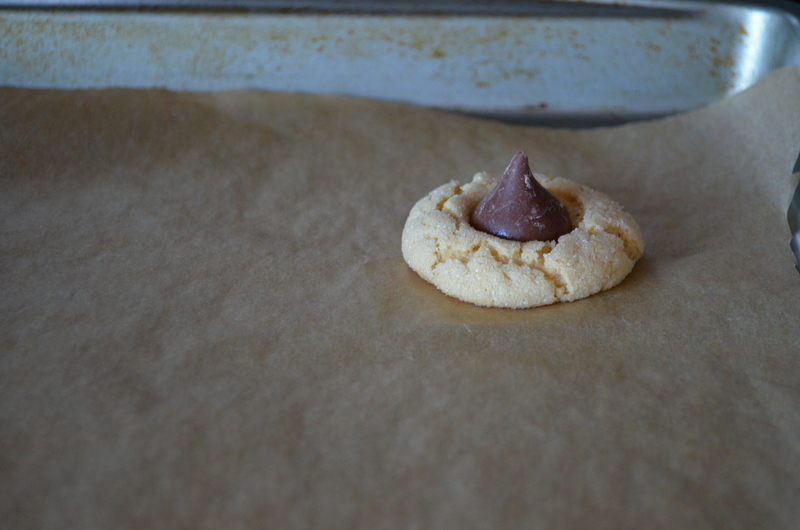 The kisses melt when you place them in the warm cookie. 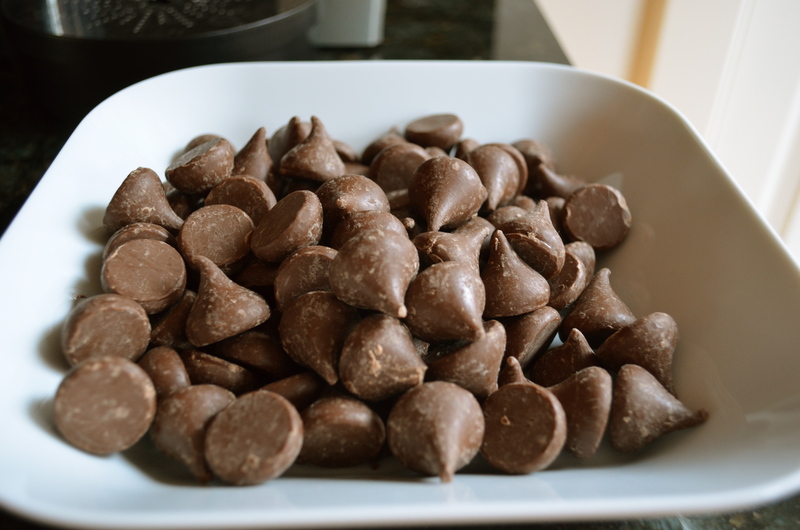 Therefore, you want the chocolate kisses to be completely cooled or they will squish down and make a big mess. These cookies freeze well in either a tupperware or in a double sealed ziplock bag. Tara, that is very unfortunate! My Mikey HATES peanut butter 😦 when he smells it even he gets sick. He ate it out of a guys armpit for a skit once, so I guess I sort of understand, lol. Thanks for the comments! They make my day!